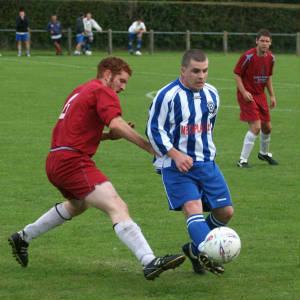 In the opening minute, Penicuik attacked down the right and keeper Ferrier did well to cut out a dangerous Gay cross. Ferrier then threw the ball out quickly to Rusin who crossed the ball low into the six yard box where Martin just failed to direct his shot on target. 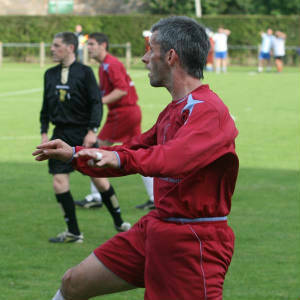 Five minutes later Kelly came close for Penicuik when his header flashed narrowly over the crossbar. In the 10th minute, a neat lay off by Noon set up Cole, but his side foot shot went inches wide of the target. Then a Kroczak free kick beat the defensive wall only to go past the right hand post. 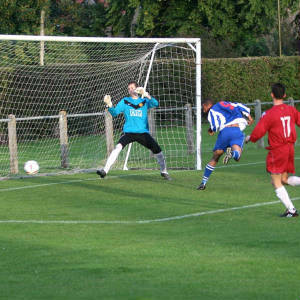 In the 15th minute, following good work by Martin, Rollo’s strike went straight at keeper Bald who gathered comfortably. At the other end, a Penicuik corner to the front post was met by Kelly, but his glancing shot went straight to Ferrier in goal. On the half hour, a neat flick on by Cole was struck first time by Noon, but the ball dipped inches over the bar with Ferrier looking on anxiously. Immediately afterwards, Grant had a chance at the back post, but sliced his shot badly. In the 42nd minute, Steel sent over a cross into the box where Kelly headed for goal, but Ferrier dived full length down to his right hand post to save. Thirty seconds into the second half, Cole got on to the end of a great Gay cross, only to head wide of the target. In the 51st minute, Kroczak saw his strike flash a foot over the Penicuik crossbar. Minutes later, Kennedy set up Robertson, and his clever curling shot went inches wide of the target. One minute later, Motion fired off a long-range effort that was only inches wide of Bald’s left hand post. 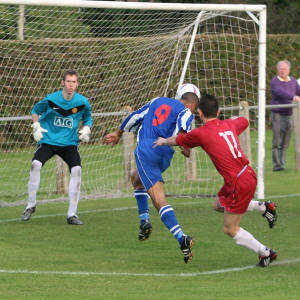 In the 62nd minute, following a flowing move by Penicuik, Kelly’s strike on goal went tamely into the arms of Ferrier. Three minutes later, a long ball out of defence by Gallagher, bounced over the head of Blair, Robertson nipped in to head the ball goal wards, but Ferrier was well placed to save.